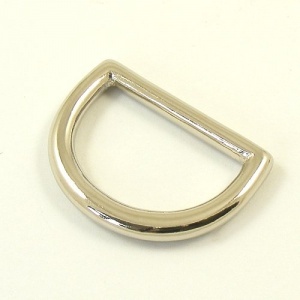 This is a shallow cast D ring which has been plated in nickel for a silver coloured finish. 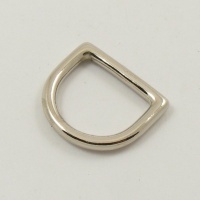 It measures 1"(25mm) across the inside of the straight edge. 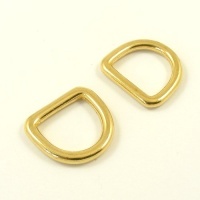 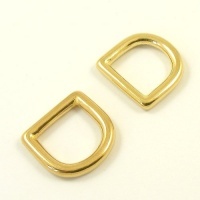 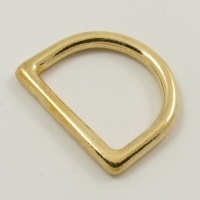 Also available in packs of 10 at a lower price per item, and in the original brass finish. 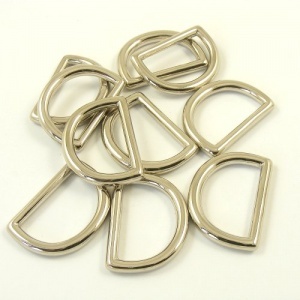 Smaller sizes are also available - see below for related products.